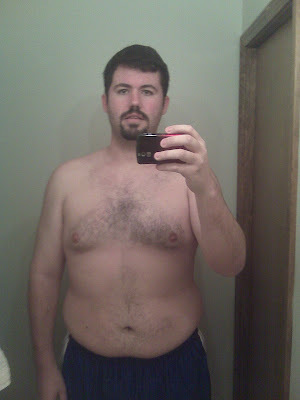 So I started this journey 4 months ago today - September 23rd, 2010. In 4 months time, I've lost 60 pounds. I stepped on the scale this morning and it said 276. Crazy! Like I said in my last post, it was probably 2003 when I last weighed somewhere in that ballpark. I still don't look that great but I sure as heck look a lot better now than what I did 60+ pounds ago. Not sure what my final weight goal is to maintain. But I'm going to keep going as long as I do it the right way and continue to eat right and also get some exercise.